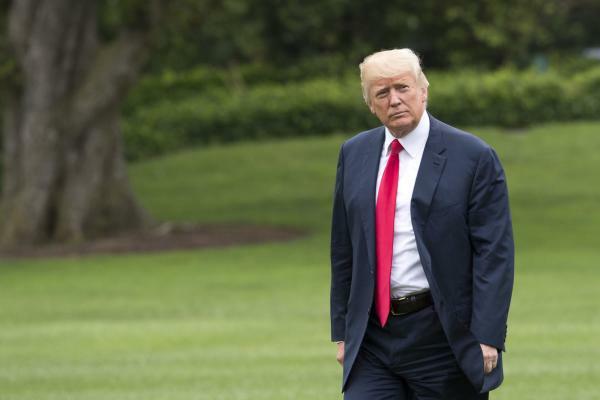 Aug. 14 (UPI) — President Donald Trump‘s approval rating dropped to its lowest level in his presidency Monday, according to Gallup. In a survey of 1,500 adults 18 and older, Trump is supported by 34 percent with 61 percent disapproving of him, also a low. He is backed by 77 percent of Republicans. The survey was conducted over a three-day period that ended Sunday and has a margin of error of 3 percentage points. On Saturday, Trump did not specifically call out white supremacists and neo-Nazis in a statement condemning violence in Charlottesville, Va., on Friday and Saturday. On Monday, he denounced the white supremacists by name. Also last week, Trump warned North Korea with “fire and fury” about not to make any more threats against the United States while taking a working vacation at one of his golf properties in New Jersey. U.S. intelligence analysis determined North Korea has made a nuclear warhead small enough to fit on a missile. For the week ending Sunday, Trump’s approval rating was 36 percent for the seven days. Among Republicans, his latest weekly approval rating was 79 percent, the lowest from his party and below the previous week’s 82 percent. Democrats’ approval was 7 percent last week and among independents it was 29 percent, the first time their weekly approval rating has dropped below 30 percent. Trump has averaged a 40 percent approval rating since taking office. It reached 46 percent on Jan. 23-25, shortly following his Jan. 20 inauguration. Predecessor Barack Obama‘s lowest rating was 38 percent three times in August 2011, October 2011 and September 2014. His highest was 69 percent in January 2009 after being inaugurated. Presidents George W. Bush, George H.W. Bush, Jimmy Carter, Richard Nixonand Harry Truman all had job approval ratings lower than 34 percent during their presidency. In the latest CNN poll from Aug. 3-6, Trump’s approval rating was 38 percent.